REMEMBER WHEN YOUR GPS &AMP; FISH LOCATOR WERE ROLLED INTO ONE UNIT CALLED GRANDPA? Each REMEMBER WHEN YOUR GPS &AMP; FISH LOCATOR WERE ROLLED INTO ONE UNIT CALLED GRANDPA? fanatics design is custom-made and printed when the countdown ends. Popular designs may be available on our site after the campaign! District Women's Premium T-Shirt REMEMBER WHEN YOUR GPS &AMP; FISH LOCATOR WERE ROLLED INTO ONE UNIT CALLED GRANDPA? 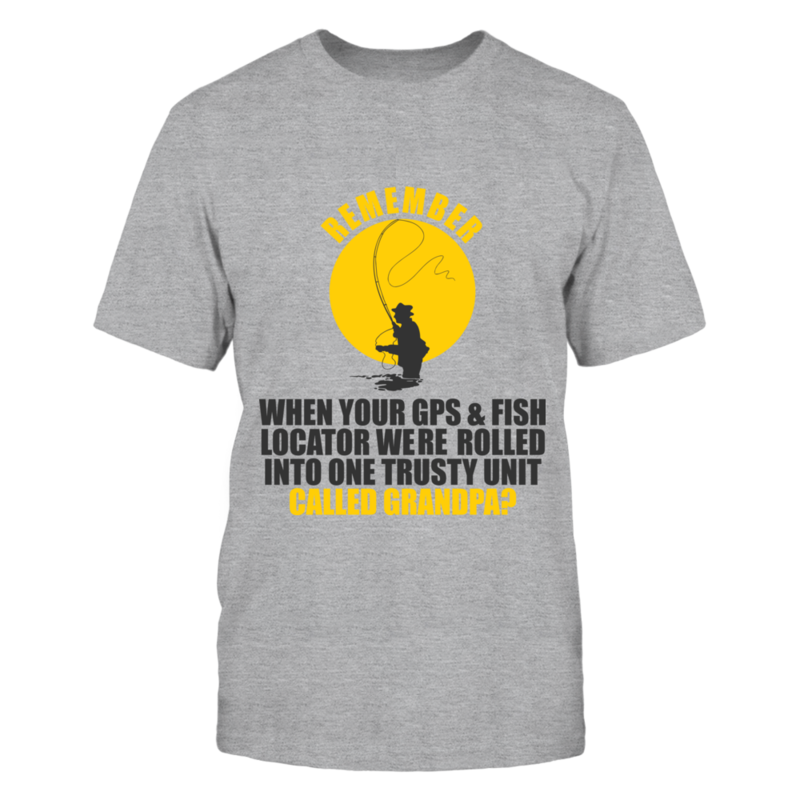 District Men's Premium T-Shirt REMEMBER WHEN YOUR GPS &AMP; FISH LOCATOR WERE ROLLED INTO ONE UNIT CALLED GRANDPA? Gildan Unisex T-Shirt REMEMBER WHEN YOUR GPS &AMP; FISH LOCATOR WERE ROLLED INTO ONE UNIT CALLED GRANDPA? Gildan Women's T-Shirt REMEMBER WHEN YOUR GPS &AMP; FISH LOCATOR WERE ROLLED INTO ONE UNIT CALLED GRANDPA? Gildan Unisex Pullover Hoodie REMEMBER WHEN YOUR GPS &AMP; FISH LOCATOR WERE ROLLED INTO ONE UNIT CALLED GRANDPA? Next Level Women's Premium Racerback Tank REMEMBER WHEN YOUR GPS &AMP; FISH LOCATOR WERE ROLLED INTO ONE UNIT CALLED GRANDPA? Gildan Long-Sleeve T-Shirt REMEMBER WHEN YOUR GPS &AMP; FISH LOCATOR WERE ROLLED INTO ONE UNIT CALLED GRANDPA? Gildan Fleece Crew REMEMBER WHEN YOUR GPS &AMP; FISH LOCATOR WERE ROLLED INTO ONE UNIT CALLED GRANDPA? Gildan Youth T-Shirt REMEMBER WHEN YOUR GPS &AMP; FISH LOCATOR WERE ROLLED INTO ONE UNIT CALLED GRANDPA? Stickers REMEMBER WHEN YOUR GPS &AMP; FISH LOCATOR WERE ROLLED INTO ONE UNIT CALLED GRANDPA?